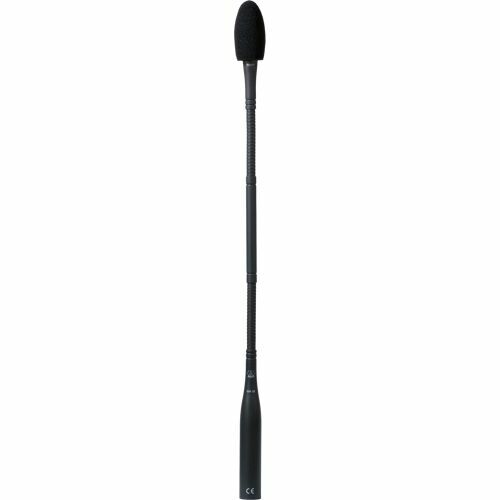 The CGN331 E is a Discreet Acoustics Modular gooseneck microphone set that includes the key components needed to provide high quality, reliable performance for a wide range of applications. It features the CK31 high-performance cardioid condenser microphone capsule that mounts to the GN30 E high-performance gooseneck module, which is also included in the set. The CK31 offers a wide cardioid polar pattern and is designed for inexperienced speakers and applications where more than one person uses the microphone in turn. The GN30 E gooseneck module works in fixed or mobile installations and comes with an integrated XLR phantom power adapter with 250Hz bass rolloff, LED ring. It connects to any standard mixer input with 9V - 52V power supply.